Pictures sent in (March 2004) by Mark Manausa of Granite Bay, California; of his Tama drum set. Awesome set Mark! Dear Sam, Just wanted to pass along a little thanks, for some high quality rewrap materials, and all the instructions needed, to turn this old pile of shells into some sweet music again. 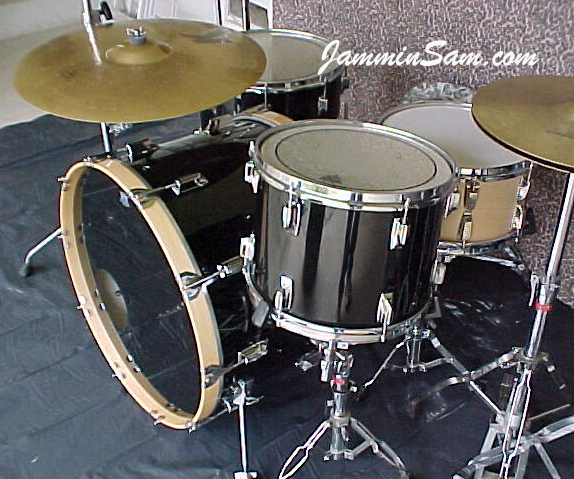 Here’s the story: I bought this set of Tama Imperial Stars twenty years ago, when I was 19. 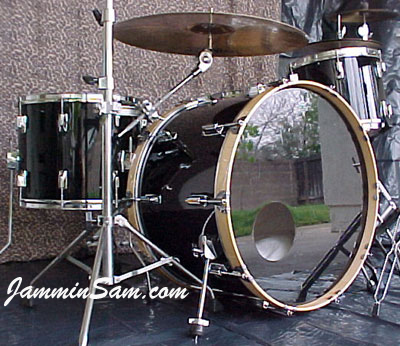 The set consisted of (2) 24″ bass drums, and tom sizes: 13, 14, 16, 18 with a 14×6.5 chrome snare. It was originally finished in black cherry color, which held up pretty well over the years, considering I never had cases for them. 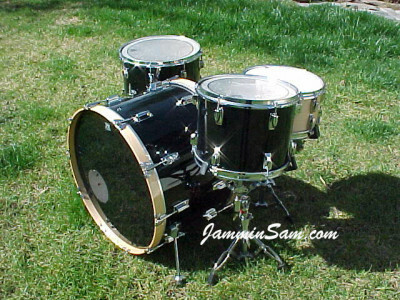 I wrapped them [half of the set] in classic black, added maple hoops to the bass drum, and a Keller 13×7 snare. Are they beautiful or what!!!! Two things: 1) I’ve got a set of DW’s, but I really dig the look and playability of this set, so these are going to be played out often. 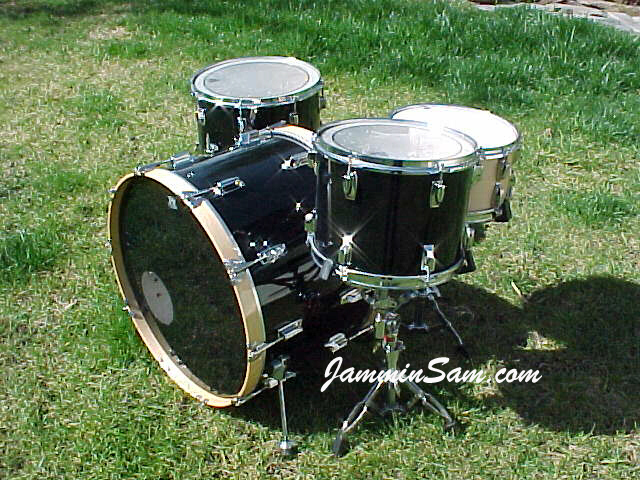 2) I’ve got the other half of these Tama’s, which I will be ordering materials for shortly.